Forum is an adult bible study group that meets every Sunday morning at 9:30 a.m. in the Copper Chimney Lounge. New people are encouraged to join. 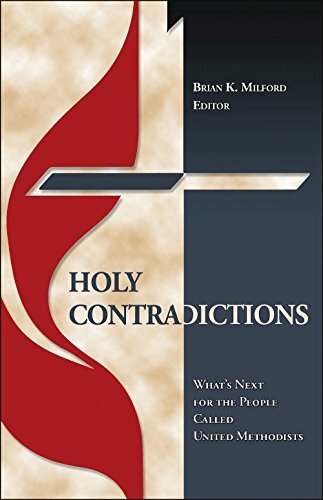 Beginning January 20, we will be discussing the book “Holy Contradictions, What’s Next for the People Called United Methodists”. This is a collection of essays written by several authors with different views on the question: ‘How might United Methodists bear witness to graceful and mutually respectful ways of living in the Wesleyan tradition amid enduring disagreements about same-gender relationships and related church practices?’ The book is available at <www.cokesbury.com> and <www.amazon.com>. Pastor Bills will also have a few copies for purchase.